Join us for Sepia Scenes Everybody! The problem with sepia fabric is I can't tell if it would make a good shirt for me. Happy Sepia Scenery. Love this pattern. Fabric is a soft spot for me. No post this week from me... I'm adding a link for Ilana-Davita, who has an interesting historical photo. Lovely fabric conversion. Very effective in sepia. Great pattern. Great detail. Nice composition. This fabric could easily pass for old. Very nice in sepia! I posted this morning but forgot to link here. My bad. The sepia gives this printed fabric a rich luxurious feel to it! At first I didn't even realize it was fabric. Pretty. Nice patterns and texture blends. 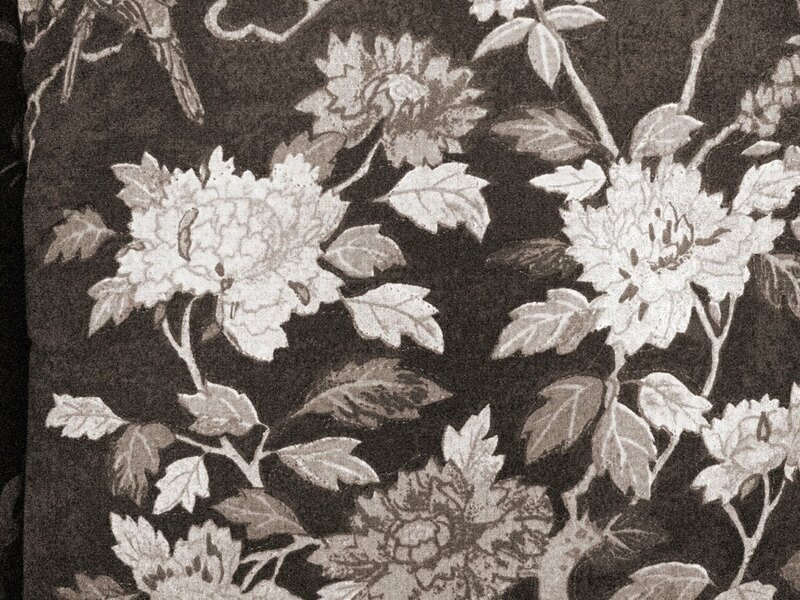 Sepia makes the pattern stand out! Very pretty fabric. Love the design of it. Have a great day!